PORTAGE, Ind. 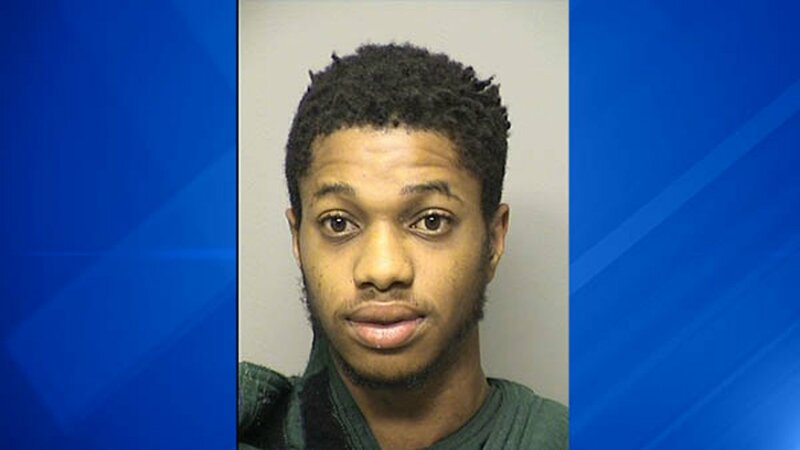 (WLS) -- A former Portage High School student was arrested after entering the school with a backpack full of ammunition, according to police. Police said DaiJon Brown, 19, came into the high school on Wednesday and made contact with a former teacher. Police said the teacher noticed he was "not acting right," and sent him on his way. According to police, several minutes later, Brown followed a student into the building and went upstairs where he was confronted by a teacher and escorted to the office. Brown said he had ammunition in his backpack but no weapon, police said. He also had gloves and a ski mask. Police said Brown claimed to be under the influence of LSD, so he was taken to a hospital and medically cleared. After his release, he was taken to the Porter County Jail charged with a felony count of trespassing, and misdemeanor counts of public intoxication and false informing, police said. Items found in the backpack of former student. Brown told police he was a student at IUPUI, police said, but the school had no record of him currently attending. No one was injured in the incident, and parents were notified Wednesday afternoon via automated phone calls. The Portage Township Schools security team will review the incident, police said.